The only thing better than getting a table inside The Crown is getting one outside! Make the most of warm weather and enjoy alfresco dining in our lovely garden and courtyard area this summertime. This June, take advantage of dining in the great outdoors – weather dependent of course. On a fine day, the courtyard is a delightful place to dine with umbrellas to shade you from the sun during the day and heaters to warm you in the evening. 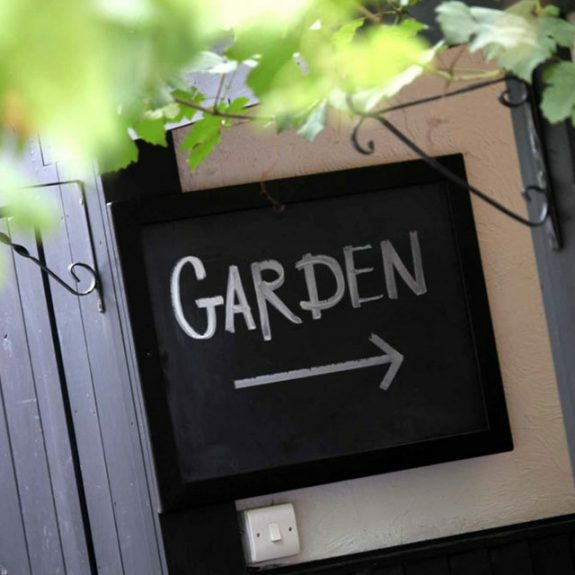 Our garden is also known as one of Bray’s hidden gems and is a great place to socialise with friends over a pint. To make your reservation, call 01628 621936 or book via our online booking system. The Crown Bazaar – More details released! Our third Crown Bazaar is fast approaching and we have lots of exciting details to tell you! Pop down between 12.00pm and 5.00pm on Saturday 18th July for some bazaar fun for the kids (and adults too). Get snap happy with your pappy this Father’s Day! Simply snap a selfie with your dad with his favourite drink or dish and you could win two spaces to our Sunday Wine Club, followed by dinner for two with a bottle of house red, white or rosé thrown in for good measure. Take a selfie with your dad and with his favourite drink or dish on your smartphone, tablet or camera. Tweeting your photo to @TheCrownBray and using the hashtag #SnapPappy. 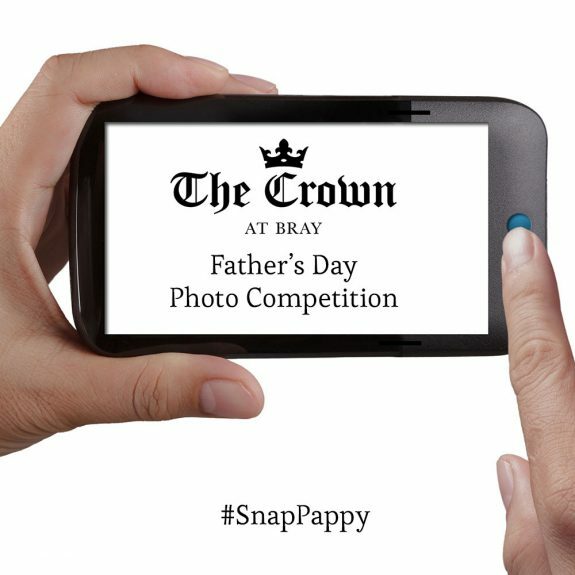 Uploading your photo to Facebook, tagging The Crown at Bray and using the hashtag #SnapPappy. Emailing your photo to reservations@thecrownatbray.co.uk. Printing your photo and posting it to Father’s Day Competition, The Crown at Bray, High Street, Bray, Maidenhead, Berkshire, SL6 2AH. We will accept entries up until midnight on Sunday 21st June 2015 – that’s Father’s Day in case you forgot! Our panel of Crown judges includes Pub Manager, David Ashton Hyde and Head Chef, Matt Larcombe, who will then choose their favourite and the winner will be announced via our website, Twitter and Facebook.